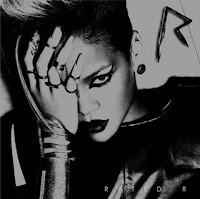 Ok, so Rihanna's album Rated R came out a few weeks ago. The wait is ova, and it's on my iPod, for sure. I have listened to that CD in full, and it is a good album. HOWEVER, is it four stars worthy? I don't think so. However, that's what the music critics at Rolling Stone, L.A. Times, and All Music gave her. Ok, "Wait Your Turn" is my jam. Must listen to it at least once a day. Basically, if you listen to the album straight from the intro "Mad House" to "Russian Roulette", it's pure hotness. To me, it falls flat after that until "Te Amo," a song that deals with a female friend trying to tell Rihanna that she LOVES her, although Rihanna doesn't feel the same way. After that, it falls flat again. The songs just aren't really memorable to me. I have been down for Rihanna since the very beginning of her career, and I will always be a fan of hers. I do like the album, and I appreciate her music and courage to take risks, but she's gotten perfect stars, and it's not a perfect album. On to Chris. 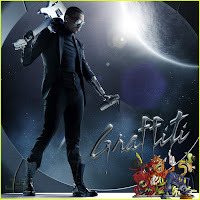 Chris' album Graffiti was released in the U.S. today. I downloaded it on iTunes early this morning around midnight or so, and have listened to the full thing at least 3 times. Not just because I'm still a fan of his, but also because I wanted to hear for myself if what the critics have been saying about this album is true. See, the same music critics that have given Rihanna four out of four stars, or four out of five stars, have made the BIASED decision to give Chris one star or two. So I get this album and take a full listen to it. Oh my goodness. Ok, this album is not Exclusive, his last album that I listened to on the regular, but it's also worth more than one star. First of all, "I Can Transform Ya" has broken Top 20 on the Billboard charts. "Crawl," his follow up single, is on the way to doing the same. You have tracks like "So Cold" and "Take My Time," featuring singer Tank, which is like a deeper version of "Take You Down" and he gets one star?! He has "Sing Like Me" and "Wait" featuring Trey Songz and Game and "Movie" and he gets one star?! (I'm going to showcase some of the songs from both Rihanna's album and Chris's at the end) I'm sorry, but what in the world are these people listening to?! This album is easy to rock to, and definitely has quite a few hits on it. While this album isn't the best, it's definitely worth at least 3 stars. Ok, so here's to the music critics. I understand that there is a HUGE elephant in the room. Chris hit Rihanna. We know, we know, WE KNOW! I'm gonna need people to get past this. It happened. While I don't condone it AT ALL, IT'S IN THE PAST! BOTH RIHANNA, CHRIS, AND THEIR FAMILIES ARE GETTING OVER IT, SO I'M GONNA NEED OTHER PEOPLE TO DO THE SAME!!!! Dang! People acting like they're the ones who got hit. And I'm hating these music reviews. "Why?" you may ask. Music critics are supposed to review the MUSIC, not the circumstances surrounding the music. 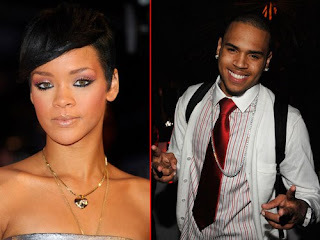 While there are tracks IN BOTH CHRIS'S AND RIHANNA'S ALBUMS that clearly allude to their relationship and the problems, I feel like people are being more nitpicky of Chris' album, which is to be expected but it's still unneccessary. I will tell you right now, both of their albums allude to their relationship and both of their albums seek pity from listeners. However, both of these albums are hot. Can we focus on the music itself? Can we build a bridge and get over this thing already? It's getting just a tad bit old. Thanks Joshua! and yes God bless them both...and you too!!!! Thanks for supporting me!